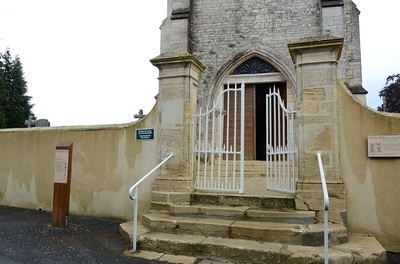 Ellon is a village and commune 8 kilometres south of Bayeux, and 2 kilometres on the right of the D.6 road from Bayeux to Tilly-sur-Seules. 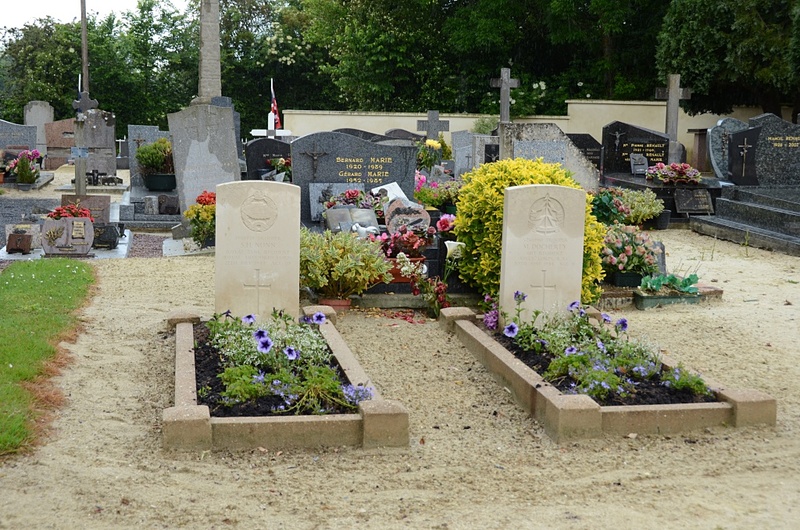 There are 2 Commonwealth burials of the 1939-1945 war here, near the centre of the north wall of the church. 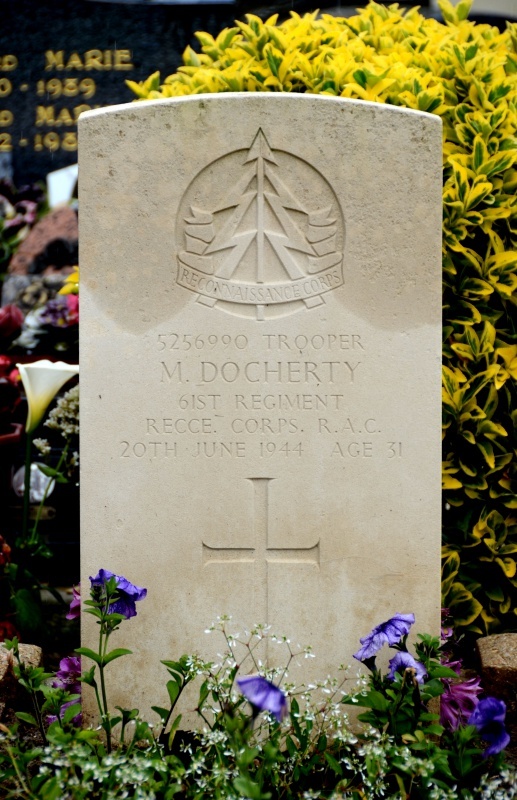 5256990 Trooper Matthew Docherty, 61st Regiment, Reconnaissance Corps, R.A.C., died 20th June 1944, aged 31. 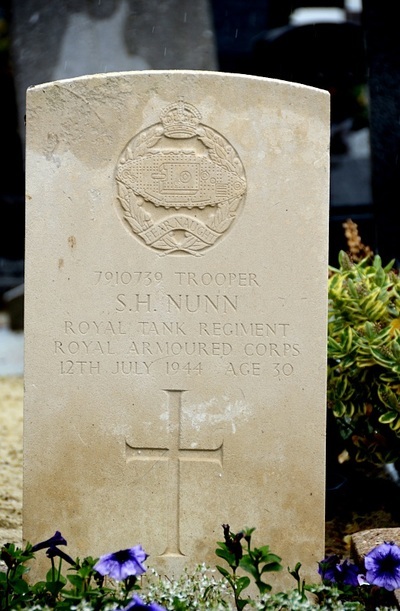 7910739 Trooper Silas Henry Nunn, 1st Royal Tank Regiment, R.A.C., died 12th July 1944, aged 30. Son of Samuel Robert and Clara Nunn; husband of Mary Phyllis Nunn, of Luton, Bedfordshire.